Just a day after its release of Google + feature, China decided to block it as per the country’s strict censorship practices. To beat its rival Facebook, Google has launched a new social media product called Google+. It is currently in an invitation only test phase. Social media such as Facebook and Twitter have been increasingly used in the past few years to denounce authoritarian regimes and their repression of the population. In countries which have huge communal tension like Libya, Yemen, Syria and Bahrain, social media has been instrumental in orchestrating political uprisings and denouncing the use of violence by security forces. Fearing that the new social media tool will be widely used, the Chinese communist regime has banned its citizens from accessing Google+. However, Google is yet to respond on this. China has tried to ban Google and its products many times in the past. Google has complained that governments such as this are trying to curb down the Internet freedom. China has already blocked Facebook, Twitter, Youtube and FourSquare. With this, I suppose it would be futile to even fight a battle with Chinese government. Ybrant Digital Ltd., an Indian digital marketing companies is acquiring a minor stake in Israeli start-up Web 3.0 Ltd. Web 3.0 is a developer of web, mobile web and performance based marketing applications. The size of the deal is not yet disclosed but the two companies are already collaborating on a range of mobile ventures. Shahaf Bar-Geffen and Paz Dror are the founders of the company Web 3.0. “We are proud to join hands with one of the fastest growing digital advertising groups in the world. Digital advertising has been showing tremendous growth globally. With Ybrant’s massive global team and a solid growth strategy, we will be able to jointly expand our mobile advertising efforts at a faster pace and to subsequent markets, getting Ybrant’s vision of a seamless multi platform offering closer to its full potential,” said Bar-Geffen. This deal will be the third acquisition of Ybrant in Israel. In April it acquired PicApp, Ltd and digital advertising company Oridian Online Media Solutions. U.S. Federal Trade Commission has begun an investigation into whether Google has unfairly used its dominance to squash its competitors, reported Wall Street Journal. The investigation aims to examine Google’s business practices as a whole. Google generates $30 billion in annual revenue, making it the king of search advertising, a dominance that just keeps growing even though Microsoft is investing heavily in development and promotions. Google owns 75.2% of search-advertising dollars, compared to Microsoft’s 10.8%. Recently FTC has been very active in reviewing and pursuing digital companies, and this new investigation into Google might be a good platform to set a new standard for how may be allowed to operate in the digital space. Google is no stranger to government scrutiny. It has been in clashes and lawsuits ever since it came into business. Lets see how thing goes, but it surely would be interesting to get some standards for operation in the digital sphere. 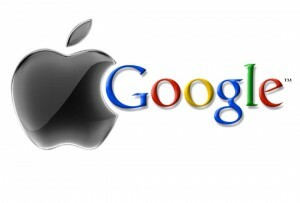 Google is on its way of another major acquisition. It has acquired the display advertising company Admeld for $400 million. Admeld specializes in real-time bidding platform that helps online advertisers to sell display ads. The company boasts big companies as their clients including Fox News, Hearst Television, Weather Channel and Answers.com. Katelin Todhunter-Gerberg, a Google spokesperson, said that the Mountain View, Calif., company does not “comment on rumor or speculation.” Admeld CEO Michael Barrett and chief revenue officer Benjamin Barokas did not return calls seeking comment. The acquisition would be a “momentous step for Google,” said Karsten Weide, research VP of digital media and entertainment at market intelligence firm IDC. “With the acquisition, [Google would offer] the complete value chain in the advertising ecosystem,” he said. Weide added that the acquisition would improve ROI for Google’s advertising customers because it “gives them easier access to relevant inventory,” as well as Admeld inventory that they otherwise wouldn’t be able to take advantage of. In the first quarter of 2011, Google’s share of overall display advertising revenue increased to 14.7%, overtaking Yahoo as the market leader. According to Weide, this acquisition will also increase the lead that Google has over its major competitors as none of them have this kind of access to relevant publisher inventory. 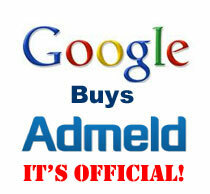 According to Wall Street Journal, Google and Admeld have been in talks about the acquisition since January. Previously Google offered $150 million, then $200 million, but looks like Admeld had a higher value to it and apparently Google agreed to pay as well. Neal Mohan, VP of product management at Google, said June 9 that he expects ad spending to hit $200 billion in “a few short years” and emphasized the value of real-time bidding. “Some of our case studies have shown that through things like data-driven, real-time buying, click-through rates have improved 135% and conversion rates have gone up 150%, and most importantly, cost-per-action is down 125%,” he said, speaking at the Interactive Advertising Bureau’s “The Future of Display” event. Well, time will only tell how big Google can get with this acquisition, but for sure real time bidding is the next big thing in display advertisement. Facebook has quietly rolled out a facial recognition technology that will automatically identify users’ pictures to their friends in UK and “most countries”. Facebook announced the Tag Suggestions in a blog post in December when it rolled out the technology in USA. There was no mention of the plans of expanding it in other countries. Facebook users keep tagging photos all the time. If the system automatically recognized the user’s face in the photo, it will give the uploader the option to tagging that user. It will make the job of tagging lot more easier. This feature is available by default, thus, users who do not wish to be tagged automatically need to login to their privacy settings and opt out of automatically tagging option. Though the timings for the rollout for all the users is not yet available. Not sure how people react to this update. It feels kind of spooky to me, I know for sure that I’m one user which will opt out of automatically being tagged. What about you? Lady Gaga features in a brand new campaign launched by Google in partnership with lesbian, gay and bisexual equality charity, Stonewall, for handling homophobic bullying. This is a online and TV ad campaign, created by BBH New York, aired across Channel 4, Five, E4 and ITV2. This is the first UK campaign of Google’s global “It Gets Better” campaign. The purpose of the ad is to show how powerful campaigns can be by bringing people and communities together. It uses the strapline “The web is what you make of it”. The campaign plans to run on TV for a month as per the media plan handled by OMD. The celebrity supporter of Stonewall are also featured in the ad including comedian Rhona Cameron, DJ Jodie Harsh, Lady Gaga and Dan Savage. Here is another score for Steve Job’s led Apple. Apple has toppled Google in the BrandZ Top 100 Most Valuable Brands study, with Google stepping down from its four-year number one ranking. Apple’s brand is valued at $153.3 billion according to BrandZ study which marks an amazing increase of 859 percent in value since the inaugural study of 2006. Between 2010 and 2011, the value of Apple brand increased by 84 percent. Google dropped by 2 percent to $111.49 billion while IBM got a 17 percent increase, moving it to third position. Other companies to appear on the list are AT&T at number 7, Facebook at number 35, and Chinese search engine Baidu at number 29. Which is the top website you spend your time on this summer? Future marketing blog is an attempt to bring the fresh and innovative future marketing strategies for its readers. Future Digital Marketing Copyright © 2019. All Rights Reserved.